Every week, it seems that Ming is kicking it up a notch with my training. I figured I'd ease back into things this week but clearly he had other plans for me. Last Sunday kinda wiped me out so I ended up sleeping in on Monday and skipping my swim. I think it was the hot yoga. That and the fact that I was actually working until just after 10:00 pm. So I started my week of workouts on Tuesday with a couple of doozies, a 10km run with 8km at tempo pace (4:15's) and then the real killer was my bike workout that night: 70 minutes with 40 of it at 160-180w. I had to have a lie down after. That was the highlight of my week. And this was only a medium volume week. I can't even imagine what my high volume week will be like. As usual I'm linking up with Krysten, Amanda & Erica to put my #Bestfoot forward and recap my week of workouts. Tuesday: 10km run in a.m. + weights , 70 minute bike in p.m.
Thursday: 12km run with 6x1km intervals a.m. + weights, 75 minute bike in p.m.
Saturday: 22km run with 2x6km at 4:10 kms - couldn't do this. It was so cold out my legs just didn't want to work. They were also really tired. I ran hard where I could. Then hit the gym and did weights. Sunday: Skipped my swim as we were out late. 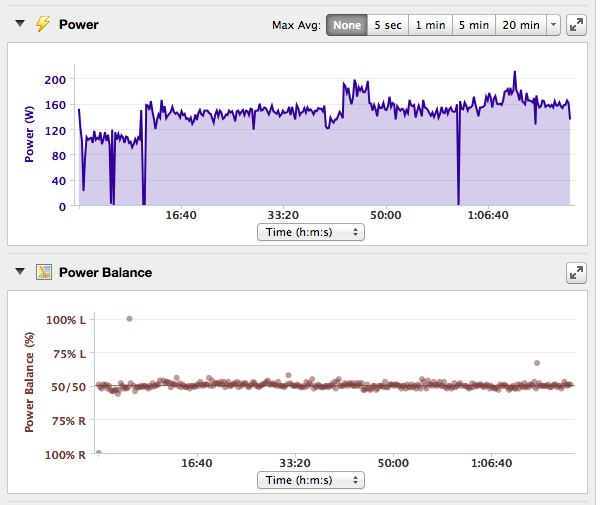 80 minute bike with 2x30 min sets: first one between 120-140w, second one at 150-170w. Ming gave me the option to do this as a recovery ride depending on how my legs felt. 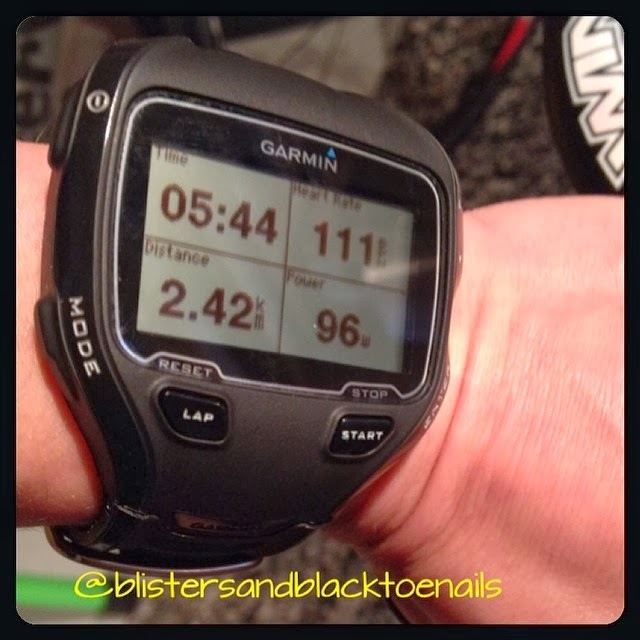 I was fine with the first set but there was no way I could hit watts for the second set. Everything was just sore and tired. I had a massage yesterday afternoon and I left feeling much better (thank you David, you rock). Total hours including weights: 8h 25 minutes. That's what happens when you skip two swims, ha ha. One thing that did finally happen this week was was that I finally got my Vectors working. Well the guys at my bike shop did. They didn't install them properly the first time so G took my bike back on Saturday along with my Garmin and had them re-install and calibrate them. The first thing I noticed was the massive discrepancy in power. 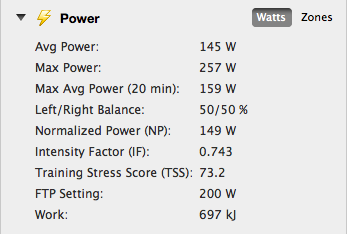 My Garmin reads roughly 15w higher than the computrainer. Not sure exactly what that means but Ming said that now all my workouts will be based around the power reading from my Vectors. There is also now more data in Garmin Connect than I know what to do with. I guess all that matters is that Ming knows what to do with it at this point. This week was supposed to be a high volume week but Ming has adjusted my schedule slightly and made this week a medium/high volume week probably because I found last week so tough. My bike rides this week are longer in duration but easier in intensity which I think will help me recover a bit more and be ready for my actual high volume week next week. How are you doing with your training? Tell me how you put your #Bestfoot forward this week!